This Carte de Visite features an adorable child displaying a skeptical but very inquisitive expression. 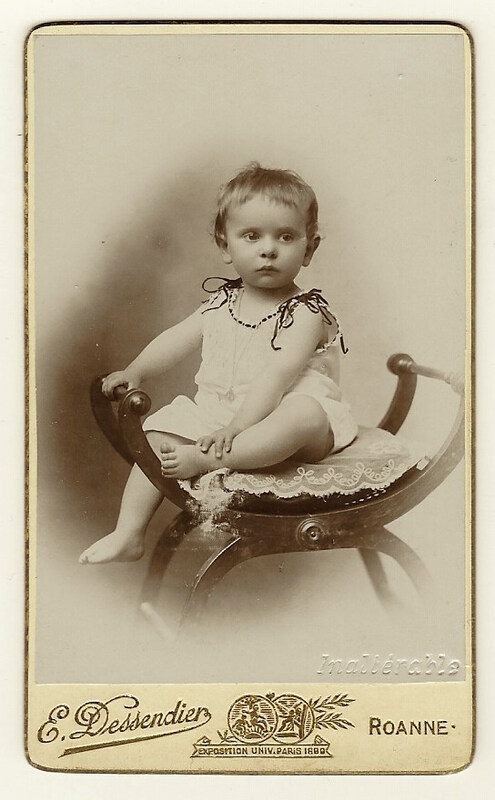 The toddler is sitting on a chair and wearing a short gown with strings across his/her shoulders. The child’s attire would be unacceptable today due to safety concerns. The photograph was taken by Jean Emile Dessendier of Roanne, a city in central France. 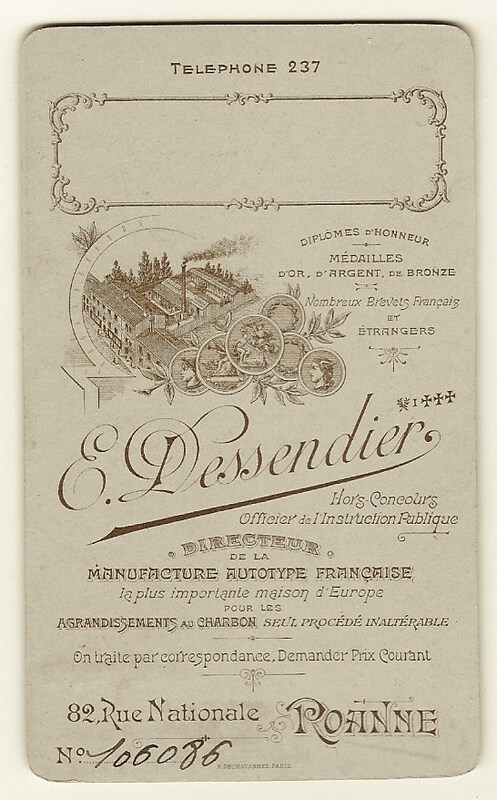 The cdv was produced in 1889 or later as evidenced by the printing on the bottom border of the photograph which states that Dessendier won a photography medal at the 1889 Exposition at the University of Paris. This cdv portrait is in good condition (see scans). Thank you so much for the correction and explanation.